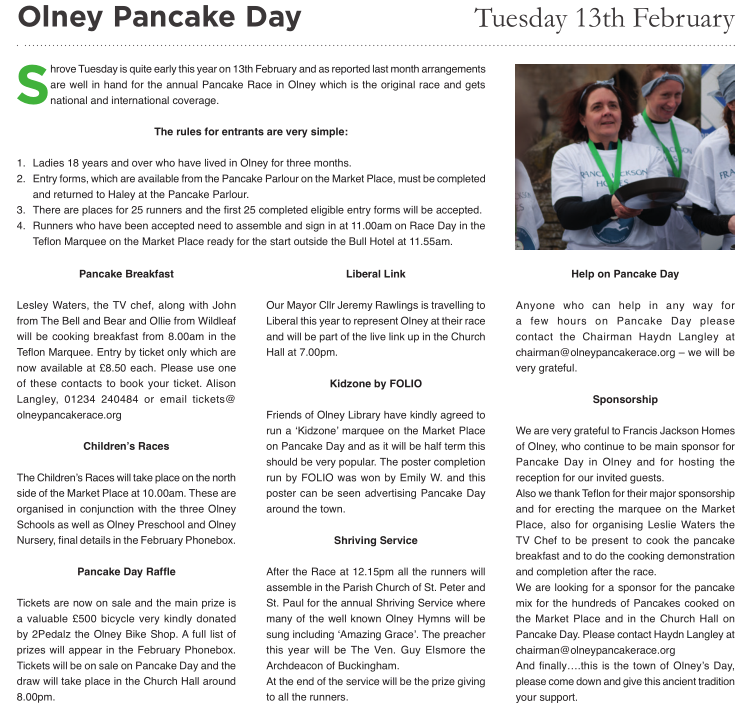 Olney Pancake Race – On Shrove Tuesday every year the ladies of Olney, Buckinghamshire compete in the world famous Pancake Race, an Olney tradition which dates back to 1445. The 2020 race will be held on Tuesday 25th February. The race starts at 11:55am. Children from Olney schools also take part in their own races. 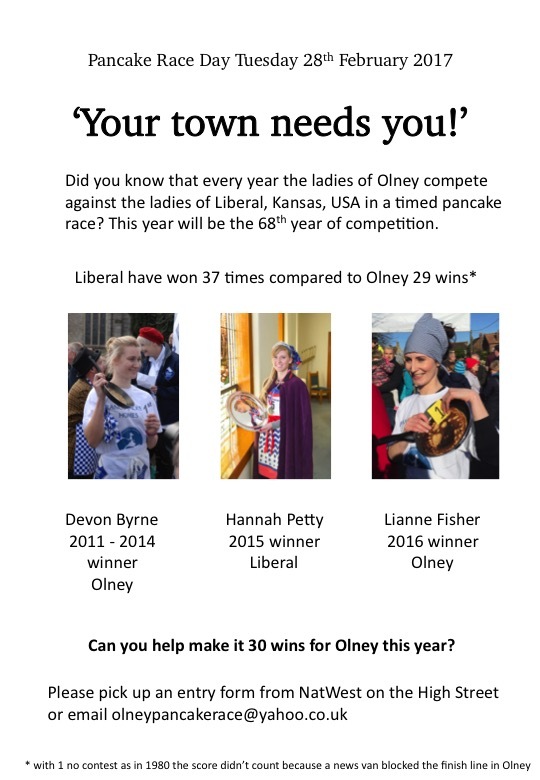 Since 1950 Olney has competed against the women of Liberal, Kansas, USA in an international race. 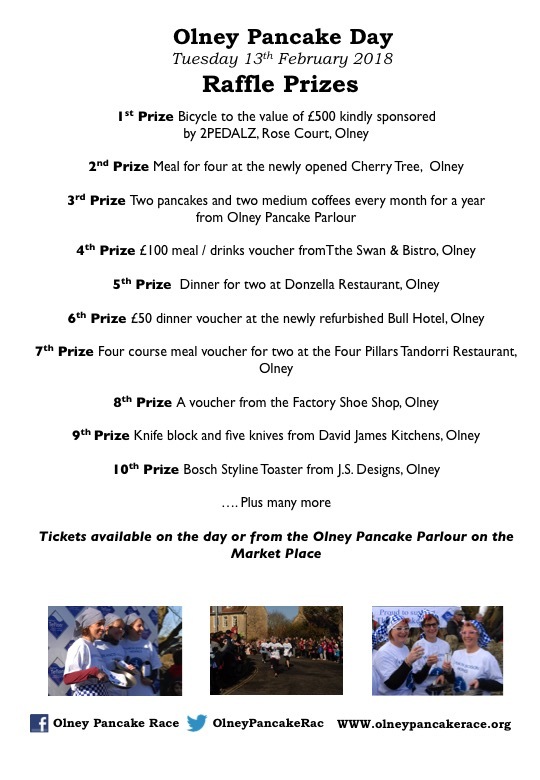 Prize Winners now available on the Raffle 2018 page. 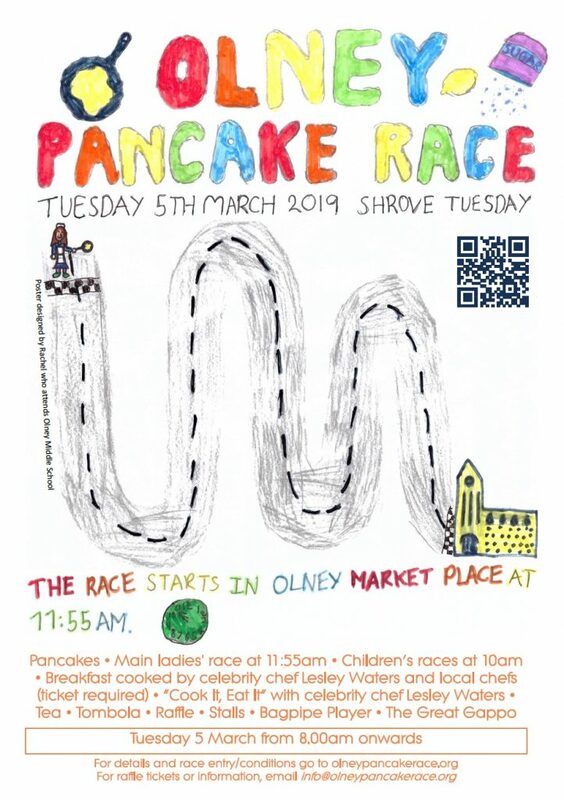 The Olney Pancake Race 2018 preparations are now underway. 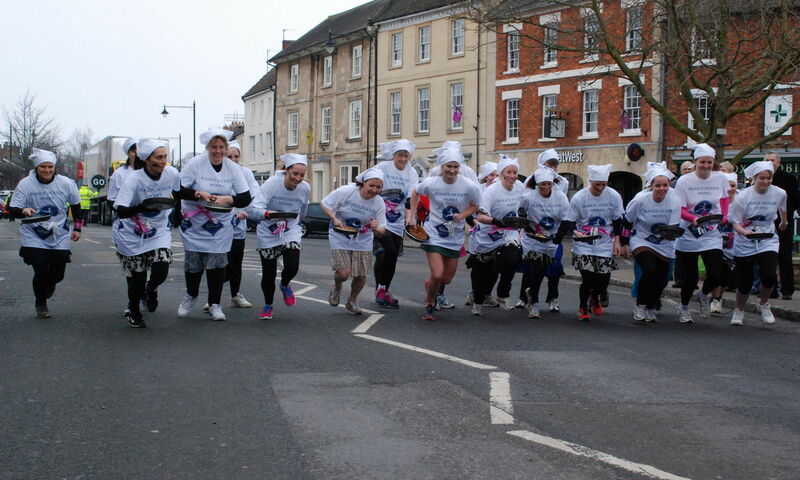 This year the race will be on Tuesday 13th February. We have some brilliant prizes for our raffle (details will follow soon, once these have been finalised) and once again we will have the Pancake Race breakfast. This sold out the last two years, and promises to be better than ever this year. To get your tickets before they sell out, please phone Alison Langley on 01234 240484 or email tickets@olneypancakerace.org. 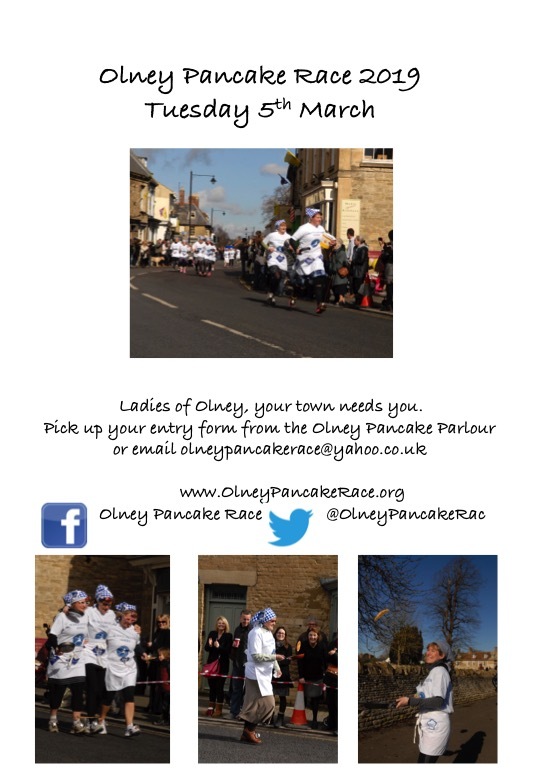 Entry Forms: Entry forms for this year’s race can be delivered to the Olney Pancake Parlour. These must be handed in personally, and emailed entries will not be accepted. 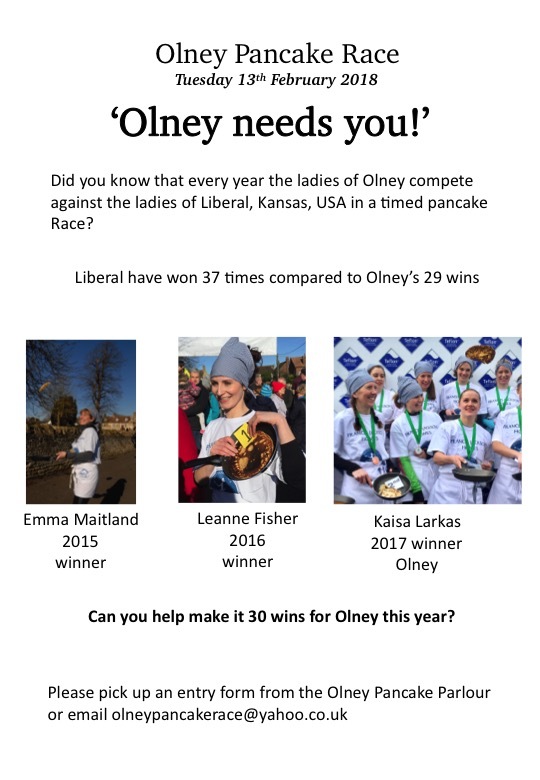 If you would like a blank form emailed to you for printing and completing, please contact olneypancakerace@yahoo.co.uk. Pancake Race Day Breakfast. 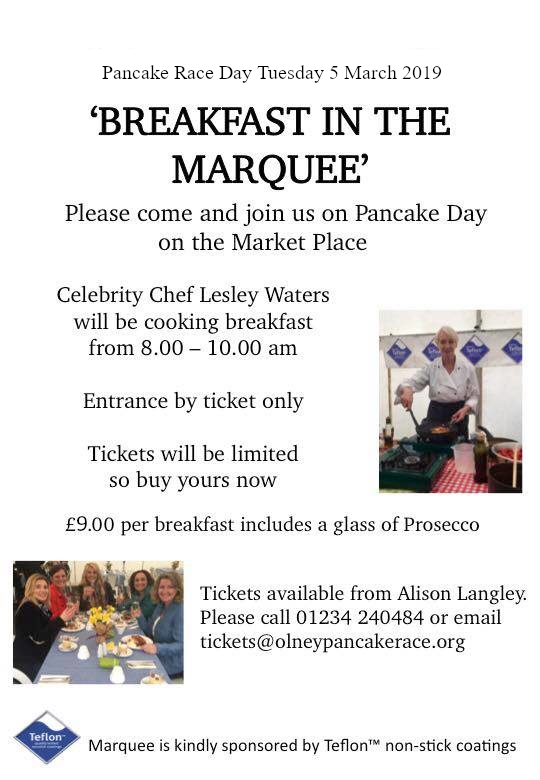 Have you got your ticket yet?